I have been pretty lucky with Sage in that, from the start of our 'relationship', she has been happy to come along with me, wherever and however I was going. 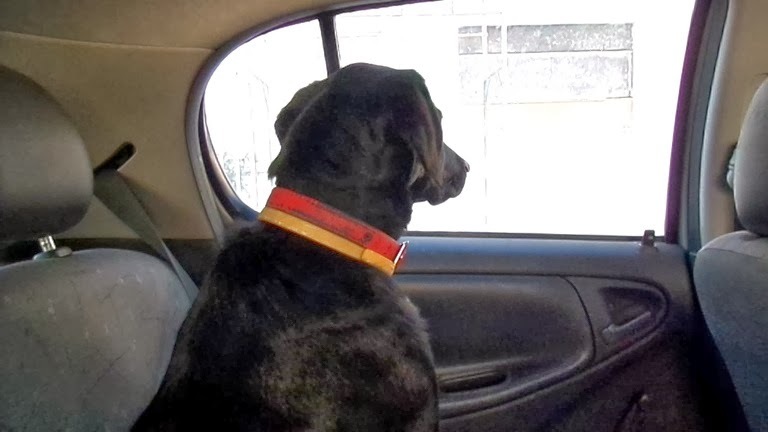 Many people find travel carriers or cages are convenient, as they prevent your dog from moving about, and function in the same way as a seatbelt - protecting your dog in case of an accident. 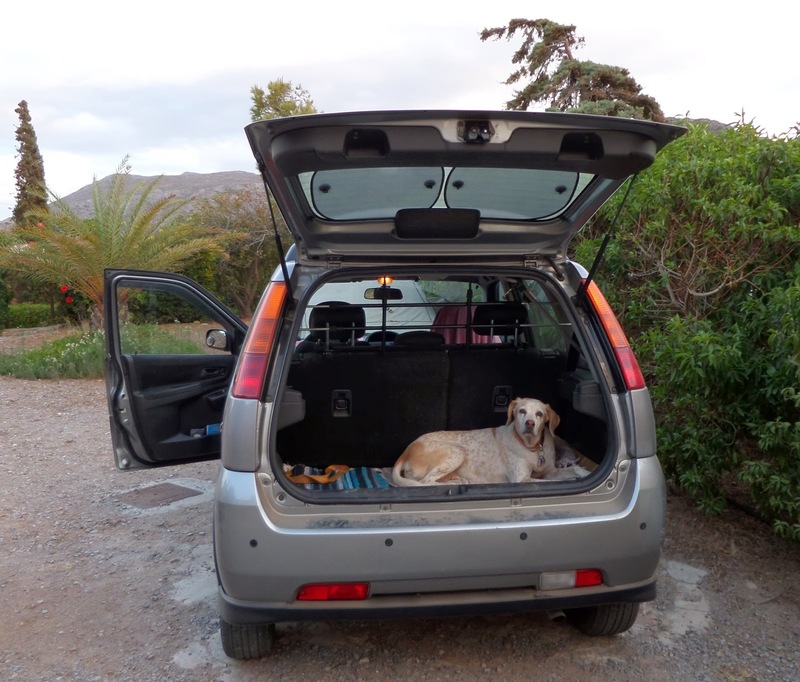 TransK9 is a company based in the UK that produces a range of cages and cases for protecting your dog on road trips. 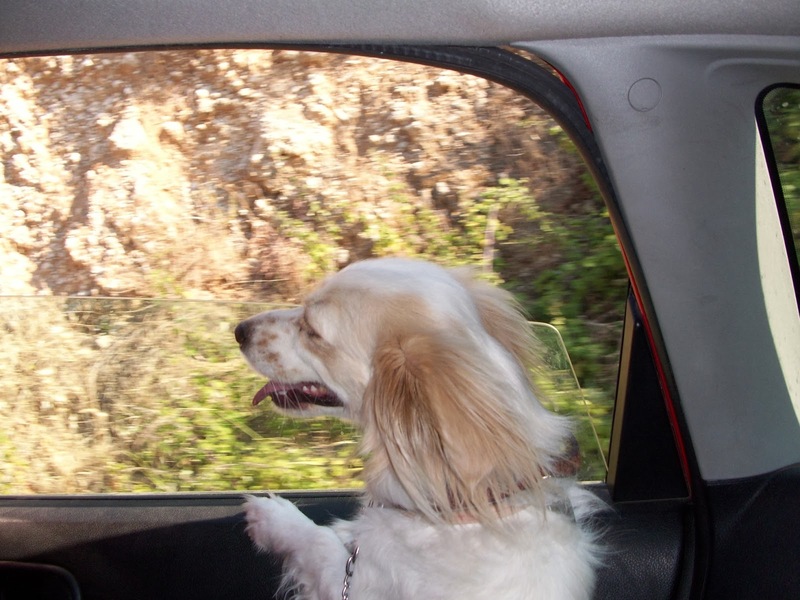 For boisterous dogs who won't settle while on the road, a good piece of advice from dog behaviourist/trainer Gwynne Lowther via Twitter : If your dog is stressed in the car, putting screens on windows or covering the crate has a calming effect just like it does with a bird! Or you can fit a barrier to prevent your dogs jumping forwards and putting you all at risk, like these from US based company Pet Smart, which offer a wide range of barriers, from small ones that block the space between front seats, to full floor to roof permanent dividers. All are designed to allow interaction between dog and owner. 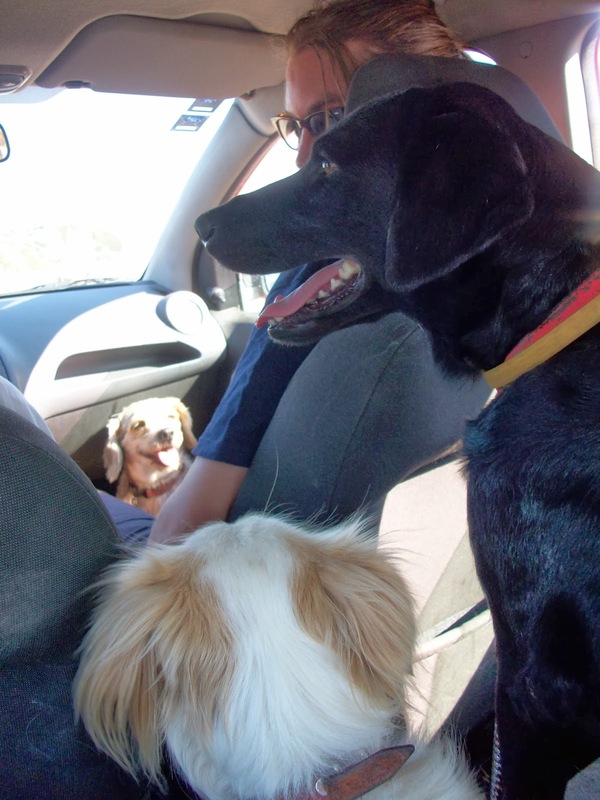 Finally, it goes without saying but I'm going to say it anyway - don't leave your dog unattended in a hot car. Even in the shade with the windows cracked, temperatures inside the car can get extremely high.